Glycon is a biomedical waste disposal company that specializes in environmentally friendly removal and disposal of toxic and otherwise hazardous materials from healthcare settings such as hospitals and veterinary clinics. Because Glycon’s work focuses on the safe removal of hazardous materials, we wanted to create a sense of calm, balanced professionalism. Our goal was to project the company’s own efficient operations with our design. The logo for Glycon uses clean, modern text and a simple geometric icon to create an aura of competency and simplicity around the company’s aesthetic identity. Though the icon is formally simple, the color gradient we used across its shape adds just the right amount of detail in its progression from dark to light. Glycon’s stationery project combines letterhead, envelopes and business cards for a complete presentation that lets the symbolic green of eco-friendly practices stand out against a background of classic white finished with black text and accents. The inverted logo at the top and bottom of the stationery letterhead creates a simple frame, adding a simple design element that enhances Glycon’s identity presentation. We introduced a simple photographic element in the business card to enhance the aesthetic and make Glycon’s mission and industry crystal clear. 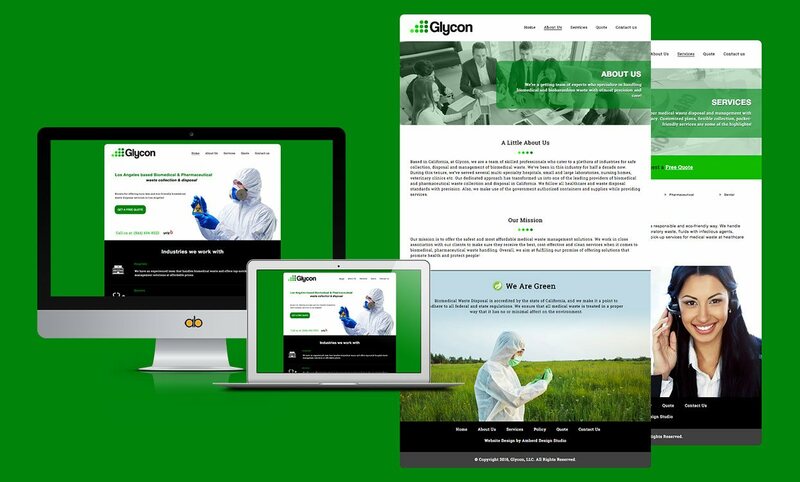 We wanted Glycon’s website to reflect the company’s work: advanced, efficient and clean. 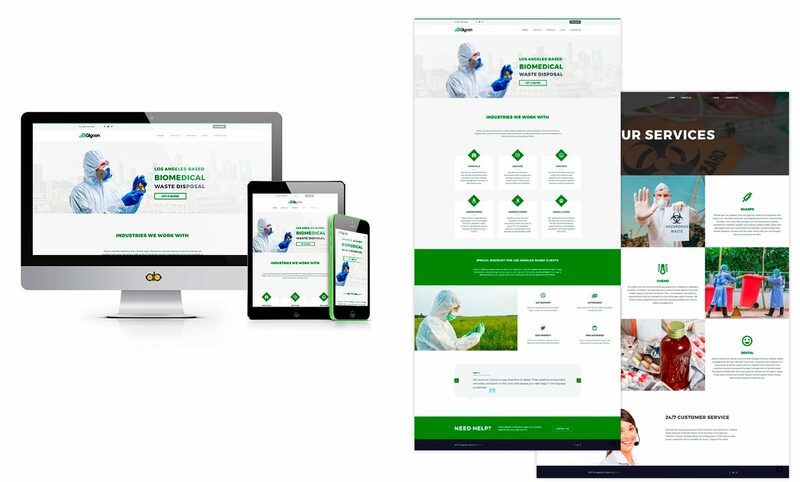 The green, white and black color theme works perfectly as part of a simple presentation for a responsive business website. BEFORE | AFTER – Please move the slider to see the before and after versions of the website. Note: This website is not managed by Amberd Design Studio anymore! Amberd’s corporate identity package for Glycon successfully balanced a variety of different symbolic and illustrative elements to create a polished, appealing design package that represents the company’s mission and work in an ideal way. The modern, open design is approachable but sleek, providing a subtle impression of skill and expertise with an added connection to the natural world. Glycon’s identity is instantly recognizable thanks to the simple but unique imagery we created. The simple icon we developed is a particularly appealing element that represents the company with a single glance.